Lisa is the experienced coach you need when you want to meet your goals, hopes and dreams in your sports! Lisa has been coaching for 25 years and writes PERSONALIZED training plans based on your data, never canned programs. Athlete coaching specialization includes: Sprint to IM distance triathlon programs; cycling programs; duathlon and aquabike programs; swimming programs; running program of all distances. Are YOU ready to see true progress? Contact Coach Lisa Colvin today! Dr. Lisa Colvin has been competing and coaching cycling, multisport & swimming athletes for over 25 years. She has competed in over 400 races on the domestic and international circuits. Lisa has competed for Team USA and has been a USAT All-American and Regional Elite for many years. Lisa started her athletic career as a highly accomplished swimmer and added running to train with her dad as a teenager. Running took Lisa to the pinnacle of NCAA distance running competition during her four years at Northeast Louisiana University where she earned a BS in Health & Physical Education/Biology and a Master degree in Exercise Science/Counseling. Lisa began coaching age-group and master swimmers and runners professionally in 1989. 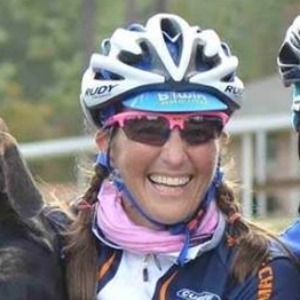 After earning a Ph.D. in Exercise Physiology at the University of Southern Mississippi, she added triathlete and cycling coaching to her offerings and has been doing so ever since. Lisa coaches all levels of athletes, from true beginners to professionals. Lisa's special talent is having a personal connection with her athletes. She writes PERSONALIZED programs based on your data, never canned programs. Let me help you reach your goals TODAY! Athletes must have (at minimum) a heart rate monitor. This allows Lisa to write custom programs in Training Peaks. A powermeter is preferred for bicycle programming. Success. Coach Lisa Colvin has been notified of your message.